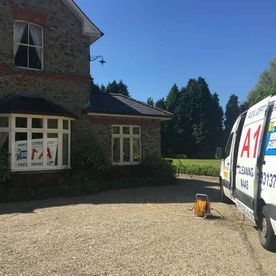 Nothing spoils the exterior of a residential home or a commercial property quite like the presence of ugly red algae or excessive moss or mould growth. These growths can compromise the exterior aesthetic of a property making it appear prematurely aged. 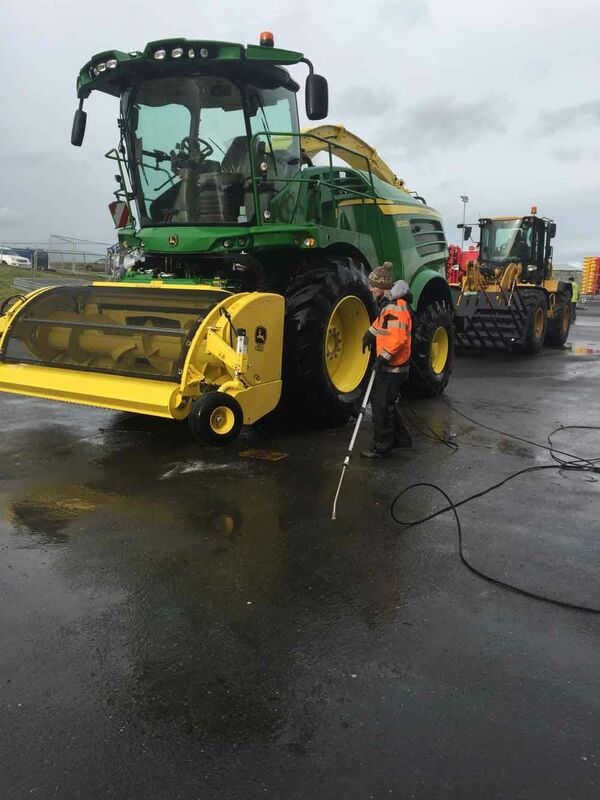 A1 Naas Contract Cleaning offers customers a comprehensive power washing service. 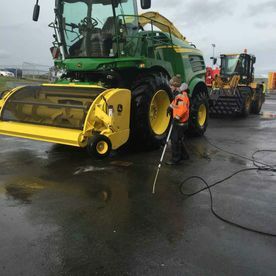 Power washing is an ideal solution for the removal of mould, fugue or excessive moss from walls, pavements, driveways, brickwork walls or any exterior wall or structure. 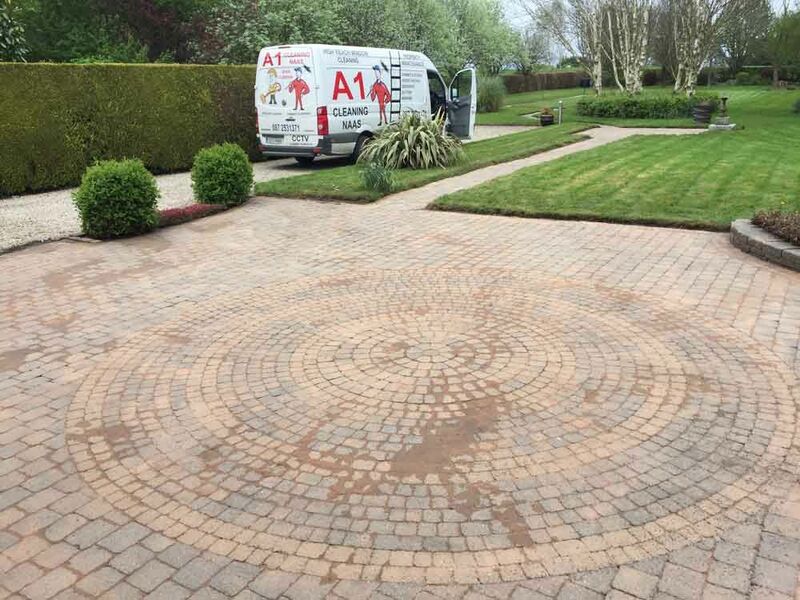 Power washing is fast and efficient, removing deeply ingrained dirt and filth from bricks and concrete and driveways. 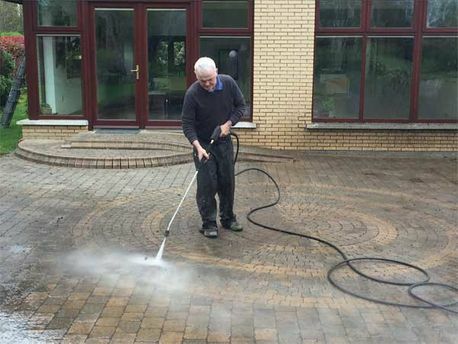 Power washing brings out the innate colour and smooth finish of stone and brick. It's also great for removing moss from roofs. 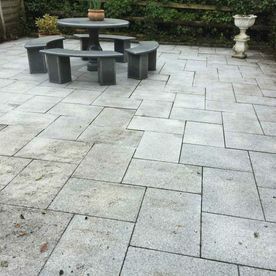 This pressure washing service is perfect for patio cleaning and driveway cleaning. 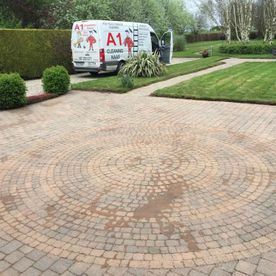 Do any of your exterior structures, driveways or pavements require the comprehensive removal of mould algae, moss or ingrained dirt? Then get in contact with A1 Naas Contract Cleaning now. While traditional methods of pesticide application can be helpful in removing surface level weeds and moss they often do little to remove the roots of these weeds. 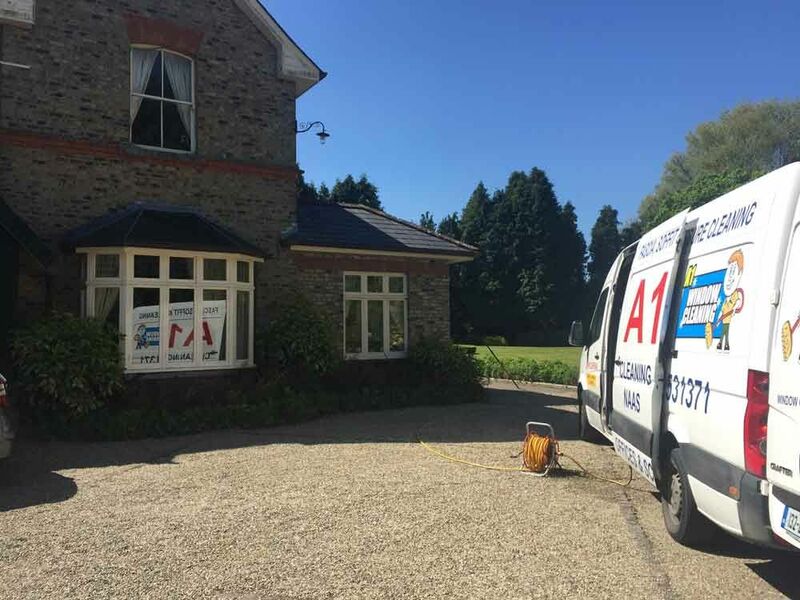 A1 Naas Contract Cleaning injects their power washing system with pesticides to penetrate problematic weeds, moss and fugue at their root cause. This system helps keep your property’s exterior free of unwanted growths for longer. 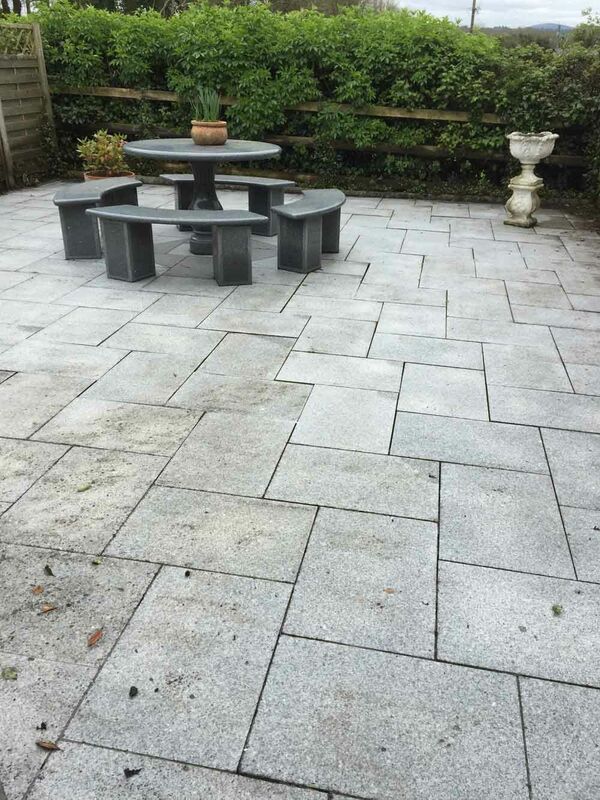 Do you want a more permanent solution to the problematic weeds growing through your property’s brickwork and paving? Then get in contact with A1 Naas Contract Cleaning today.